MW19 features speakers from around the world, presenting their latest work and research findings. Proposals were peer-reviewed by an International Program Committee in a very competitive process. The preliminary program includes confirmed presentations in red/black and tentative presentations in grey. Please check the program frequently for updates. Enjoy a light breakfast of pastries, coffee, and tea. Registration desk opens at 8:00 am Grand Ballroom PreFunction space, on the 2nd floor Between the North Tower elevators and the hotel Lobby. The registration desk will be open until 7:30 pm. Workshop: DIY Crowdsourcing & Museum Collections: Explore people-powered research with the Zooniverse Project Builder! Enjoy a quick morning coffee and tea break! Lunch is for workshop attendees and teachers only: please bring the lunch ticket included in your registration packet. Workshop: How to get museums to innovate? ‘Design for cultural heritage’ and service-system mindset as a strategic thinking methodology. Enjoy a quick afternoon coffee and tea break! Please join us for a casual gathering to help Museums and the Web first-timers get the most out of the conference led by our Local Committee Chair Kellian Adams. The co-chairs will be on hand to say hi and share some pointers about how to make the meeting work. We’ll have some fun and then head off to the Welcome Reception together. MW veterans welcome! While at the MFA, meet some of Boston’s interactive media makers! Play with augmented reality, LARP as a museum curator, interact with an Artificial Intelligence comedian, and, of course, visit the selfie station! Boston’s own international art museum, the Museum of Fine Arts is home to more than 500,000 works of art from ancient Egyptian sculpture to Impressionist masterworks to up-to-the minute contemporary works. The MFA invites everyone to experience its thought-provoking installations and innovative cultural programs. You haven’t visited Boston if you haven’t gone to the MFA! 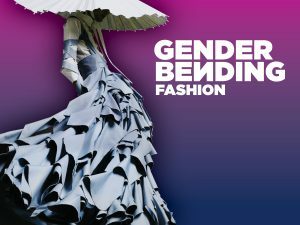 Wander the MFA’s varied collection galleries, or visit one of several special exhibitions on view during the conference: “Gender Bending Fashion,” “Graciela Iturbide’s Mexico,” “Frida Kahlo and Arte Popular,” “Made Visible: Contemporary South African Fashion and Identity,” and more. The Museum is open to the public until 10pm on Wednesday evenings, offering the guests plenty to explore beyond our private event space. The Museum is located at 465 Huntington Avenue, Boston, MA 02115, just a mile from the Sheraton Boston Hotel. It’s a 9-minute ride on the MBTA’s Green Line E from the Prudential stop to the Museum of Fine Arts, or a 20-minute walk west on Huntington Avenue. MW is providing the MBTA one week pass for the full registrant. Back Bay AB Papers: How do we connect (with) collections? Back Bay CD Papers: How do we measure feelings? How Does This Exhibition Make You Feel? Measuring sensory and emotional experience of in-gallery digital technology with GSR devices. Grand Ballroom Papers: What is digital inclusion? Independence East West Papers: What is the Visitor Journey? Lunch on your own or enjoy a special lunchtime performance that sheds new light on the history of museums while demonstrating innovative immersive techniques for teaching history in museums – tickets $40, includes boxed lunch. The special lunch will be offered at Commonwealth Room (3rd floor). The objective of the community of practice, sponsored by Microsoft, is to deepen understanding in Museums of what is possible with artificial intelligence as well as to encourage a conversation about the potential applications of artificial intelligence in Museums. As part of this community, we invite anyone who is interested in the applications of artificial intelligence in a Museum setting to join the discussion over the coming year. Back Bay AB Papers: What is memory on the Web? Back Bay CD Papers: What is museum mobile today? In this session, Jonathan Munar (Art21, USA), Rebecca Friday (Hudson Media, USA), and Carl Rutman (Brightcove, USA) critique recent video projects in a range of formats. Everyone learns from the process and takes away tips that can be applied to other video projects. Professional Forum: The Golden Ticket: Leaping forward 20 years in under 20 months. See the finalists in the GLAMi competition present their projects representing some of the best work done in the field in the past year. Place your bets for the winners, and come back tomorrow for the awards! This session will be co-chaired by Jane Alexander of the Cleveland Museum of Art and Steven Beasley from the Museum of Science and Industry, Chicago. See the finalist videos here! Join us for cocktails and hors d’oeuvres in the Exhibition Hall. New products, services, and designs from commercial partners as well as demonstrations of non-profit initiatives are featured in the reception, with the opportunity to speak to the innovative people and companies behind each. Grand Ballroom Foyer M+W Happiness Bar: Make Your Website Faster and More Secure! M+W Happiness Bar: Make Your Website Faster and More Secure! Visit the MWX Arcade in the Exhibit Hall during its opening hours to participate in a changing program of immersive and playful experiences from local artists and performers sure to inspire you with new ideas for audience engagement and learning in your museum! Meet the authors and get your own autographed copies of the latest publications by colleagues in the MW community! MuseWeb is in town with more than 600 colleagues from around the world and will open up part of their Exhibitor Reception for free to us with a cash bar. Come join MW19 attendees at 8:30 and check out the museum exhibitors and see some MW demonstrations! Drinking About Museums #MW Edition will be held at the Sheraton Hotel in Boston Back Bay, in the Constitution Ballroom, 2nd Floor between the Lobby and the North Elevators. Back Bay CD Papers: How do we get from collaboration to creation? A Crisis of Capacity - How can Museums use Machine Learning, the Gig economy and the power of the crowd to tackle our backlogs. Independence East West Papers: How do we open online collections? Where Are The Edit and Upload Buttons? Dynamic Futures for Museum Collections Online. Republic Ballroom AB Papers: What is storytelling today? The Web Crit Room is an interactive conversation between the presenter (whose site is the topic of discussion), the panel, and those in the session. Four sites are reviewed, with the site representative presenting the site briefly, highlighting the challenges they face and the areas where they’d like feedback. The panelists and the audience respond, offering their critique and suggestions. This year’s Web Crit is chaired by Heidi Quicksilver (Rock & Roll Hall of Fame, USA) with panelists Gilles Duffau (Caisse des Dépôts et Consignations, France), Jean-Pierre Chabrol (Museum of Contemporary Art, Australia), Conxa Rodà (Universitat Oberta de Catalunya & Museu Nacional d’Art de Catalunya, Barcelona), and Christina de Vreeze-Cabrera (CVC Fine Art Ltd., Spain). Enjoy a quick morning coffee and tea break inside Exhibit Hall! Digital Necromancy: Does the QR code yet live? An empirical look at what QR codes can still do for us. Please enjoy lunch, hosted by our sponsors and exhibitors! The ice cream break is sponsored in part by CogApp. Grand Ballroom Plenary Panel Discussion with Damon Krukowski: The New Analog, or What's your medium up to? Join Seb Chan, Chief Experience Office of the Australian Center for the Moving Image, as he interviews Damon Krukowski, creator of “Ways of Hearing,” and The New Analog and moderates a panel discussion about what is lost, and what is gained, as we move across media. How do digital translations and transmedia experiences challenge the borders and definitions of the media we use today, and what “meaningful signals” might we unwittingly sacrifice as “noise” in our search for “fidelity”? Joining the panel discussion are leading practitioners in a range of media: Halsey Burgund, sound artist and creator of the Roundware platform; Diane Borger, executive producer at ART and of the immersive theater blockbuster, “Sleep No More;” Sharna Jackson, artistic director of SITE Gallery, Sheffield, and curator of MWX; and Kellian Adams Pletcher, founder and CEO of Green Door Labs’ mobile and location-based learning experiences and curator of the MWX Arcade. Conference Reception at the New England Aquarium. The New England Aquarium is a global leader in ocean exploration and marine conservation. With more than 1.3 million visitors per year, the Aquarium is one of the premier visitor attractions in Boston and a major public education resource for the region. This evening the New England Aquarium will feature a bustling colony of over 80 penguins surrounding the Giant Ocean Tank in the main hall. While at the Aquarium, you can also experience “Regatta Go,” a collaborative mixed-media game from the Boston Indie Games Collective. The Aquarium is a 25 minute ride via the Green line with a short transfer to the Blue line using the MBTA. It is located at 1 Central Wharf, Boston, MA 02110 . MW is providing MBTA week pass to the full registrant. Registration desk opens at 8:30 am Grand Ballroom Pre-function space on the 2nd floor Between the North Tower elevators and the hotel Lobby. The registration desk will be open until 3:00 pm. Enjoy a light breakfast of pastries, coffee, and tea inside Exhibit Hall. Last chance to experience immersive and interactive experiences at the MWX Arcade in the exhibit hall, plus board games on science, art, and history themes for your museum! Recent apps – iOS and Android, touch tables, kiosks and bespoke hardware (as distinct from websites including mobile sites) – are critiqued by an expert panel of peer reviewers including Vicki Portway (NASM, USA), Robin White Owen (MediaCombo, USA), Ariel Schwartz (Philadelphia Museum of Art, USA), and Sandy Goldberg (SGScripts, USA) under the leadership of Bruce Wyman (USD Design | MACH Consulting, USA). Everyone learns from the process and takes away tips that can be applied to other apps. With support from Unified Field and Cuseum, this new Community of Practice examines strategies and sustainable business models for museums and other cultural nonprofits that need to respond to evolving audience demands, while positioning themselves for the future. The topics and research of the community are set by its members and will include new types of engagements, inclusivity, the developing role of museums in the smart city, museum incubators, new types of partnerships, sustainability, equitable staffing, and maintaining the organization’s purpose in the face of market-driven economics. Back Bay AB MWX: What is digital, what is "real" in the (immersive) museum? Back Bay CD Papers: What are the next-gen interfaces? Being there: creating inclusive and accessible solutions for immersive digital experiences. Constructing a converged open-source museum platform. Help us build an accessibility and inclusive design knowledge base for our field. Corey Timpson and Sina Bahram team up for an hour of documented questions and answers. Bring your accessibility and inclusive design queries and solutions – from Firefox to fire exits, from visual description to visual design – and help us build a knowledge base of best practices for the community by the community. Through our work we encounter complex scenarios that demand complex and nuanced solutions, and yet we also encounter common issues that saturate the cultural landscape. Symptoms require treatment, but sustainability and advancement field-wide will only come from informing ourselves at the cause level. - Harald Kraemer, School of Creative Media, City University of Hong Kong, Hong Kong S.A.R.